With the tower of Se Cathedral in the backdrop, the stunningly unique Casa dos Bicos in Lisbon (House of Spikes) is the perfect background for any photograph. 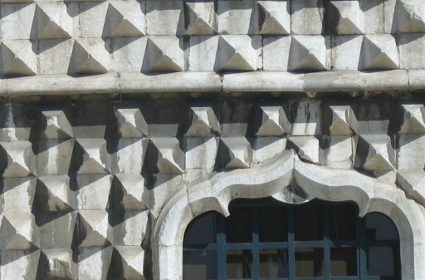 Called the House of Spikes, and other versions of similar meanings, the eye-catching house, with spike-like appearance, is certainly a subject of intrigue. 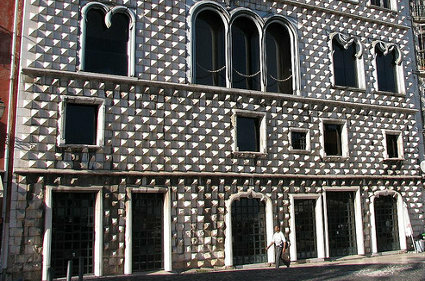 Its facade is covered with over a thousand “bicos” (spikes), stones in the shape of diamonds and has stood the test of time. Built in the 16th century, by the family of the Viceroy of India, Afonso de Albuquerque, it had survived the 1755 earthquake, despite having the top floors destroyed. It was eventually restored and the most recent refurbishment was in the 1980s. 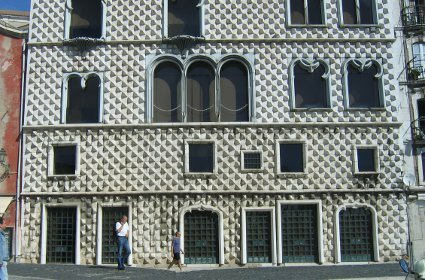 Casa dos Bicos is said to be inspired by the European style fad such as the ‘Palazzo dei Diamanti’ and other such common houses in Venice, at that time. 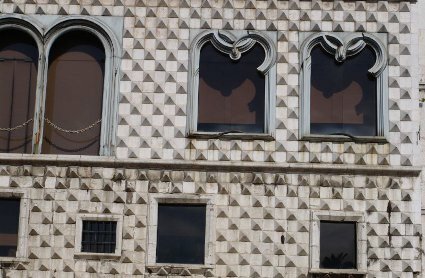 The conspicuous building also shows distinct Portuguese influences in the form of the windows with Manuelin arches. This palace from the past was once leased to the fisherman, to salt cod fish. Now the space can be leased for temporary exhibitions and functions in the modern interior of the lower levels. Public is only allowed to enter the premises, during such events. Casa dos Bicos Lisbon area (House of Spikes) is part of the popular walking tour that covers the neighbours – Baixa and Alfama areas. Its nearest metro is a short walk away located in ‘Terreiro do Paco’ or also “Praca do Comercio”. In addition to the Se Cathedral, two streets north, there are other churches also within walking distances. They are “Conceicao Velha” Church, an esteemed survivor of the 1755 earthquake and “Santo Antonio” church.